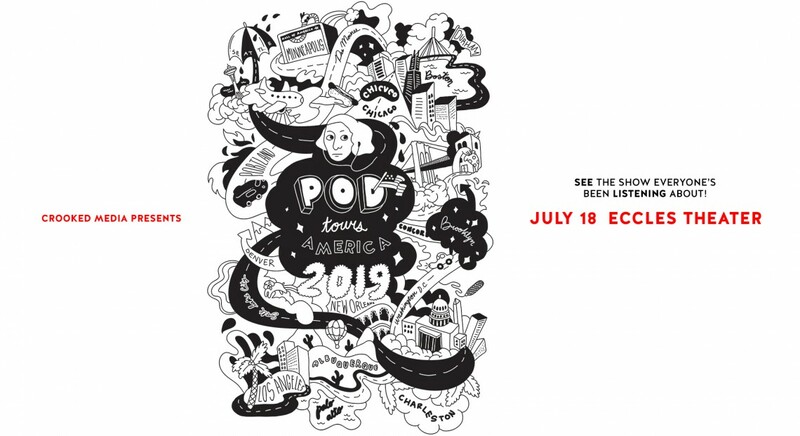 Live at the Eccles presents Pod Save America Thursday, July 18, 2019 at the Eccles Theater on Main Street in downtown Salt Lake City. ArtTix is the official source for tickets for Live at the Eccles events. Previous Pod Save America guests include: President Barack Obama, Senator Hillary Clinton, late-night hosts Jimmy Kimmel and Seth Meyers, grassroots activists, leading journalists, singer John Legend, Golden Warriors Coach Steve Kerr, Democratic Leaders Chuck Schumer and Nancy Pelosi, Sen. Elizabeth Warren, Sen. Cory Booker, and many more. Leading up to the 2018 midterm elections, the podcast hosted four live Pod Save Americaspecials on HBO.